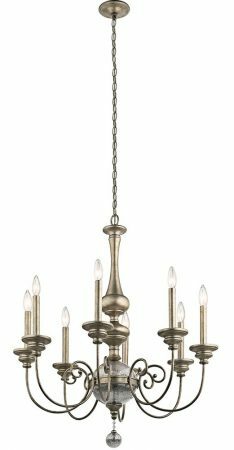 This Kichler Rosalie 8 light chandelier in Sterling gold finish with mercury glass is a contemporary take on traditional styling. Superb quality large chandelier, suspended from a circular ceiling cup and chain. 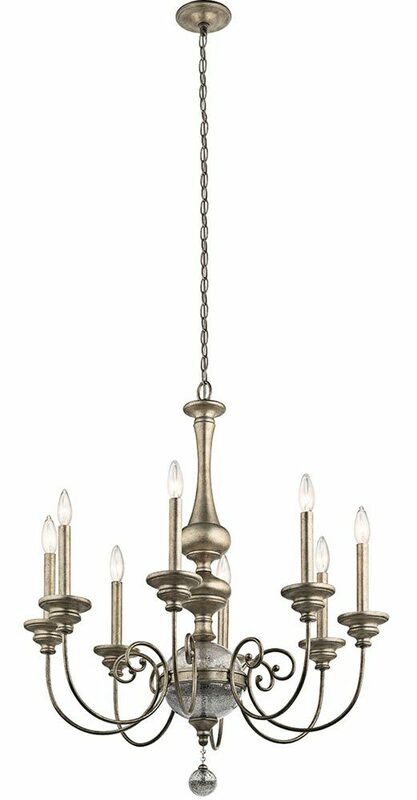 The chandelier body features a central candlestick stem, with mercury glass sphere, lower chain and smaller lower mercury glass sphere finial. The eight scrolled arms attach to a central band and are fitted with tall candle style lights, with metal candle drips and matching candle tubes. A charming traditionally inspired modern-day design that would look fantastic in both contemporary and traditional settings. Perfect for any bright and airy large dining room, hallway, bedroom or living room. There are matching fittings available in the Rosalie lighting suite that can be viewed by scrolling down this page and include a five light mini and five light chandelier, a ceiling pendant and single wall light. This classic light is supplied by Elstead Lighting and designed in the USA by Hinkley, founded in 1922 in Cleveland, Ohio. 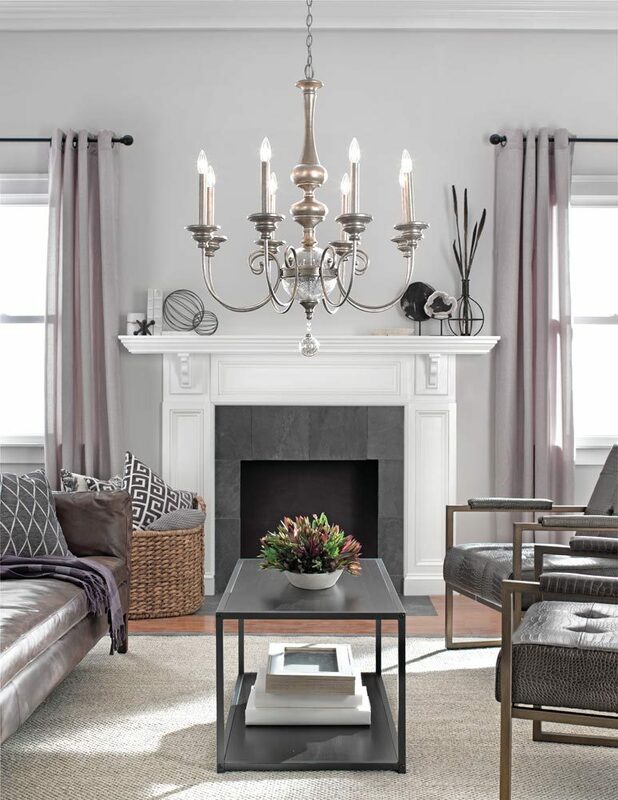 They have transformed from a small outdoor lantern company to a global brand intent on bringing you the best in style, quality and value designs like the Rosalie 8 light chandelier in Sterling gold finish with mercury glass you see here.